Barbie McNeely of Shelbyville, Ind., and Roger Blocks of Three Lakes were united in marriage Saturday, Dec. 23, 2017, at St. Luke’s Episcopal Church in Shelbyville. 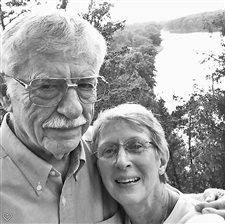 McNeely is a longtime resident of Shelbyville, and a former registered nurse and retired teacher with two master’s degrees. She has two children and six grandchildren. Autumn Marie Chamberlain and Michael Andrew Dobbs were united in marriage Saturday, Sept. 16, 2017, at a private ceremony in Phelps. the Rev. Bill Trosien officiated. 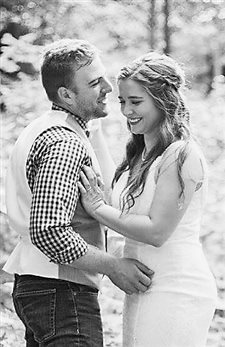 The bride is the daughter of David and Jenni Chamberlain. Her grandparents are Jerry and Bonnie Linn. The groom is the son of David and Christine Dobbs. His grandparents are Wil­liam and Patty Andrzejew­ski. The couple took a wedding trip to Sandals South Coast in Jamaica. 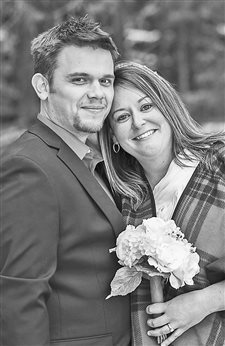 Allissa Rudawski and Joseph Dillon were united in marriage Saturday, Nov. 4, 2017, at Sugar Camp Town Hall in Sugar Camp. The ordained minister Lawrence Roper presided. The bride is the daughter of Christopher and Renee Rudawski of Phelps. The groom is the son of Jim and Delores Dillon. Maid of honor was Gosia Pietraszewska. Matron of honor was China Wilderness. Ashley Krusick and Justin Auestad were united in marriage Saturday, Nov. 11, 2017, at Maroon Bells in Aspen, Colo. The bride is the daughter of Scott and JoAnn Krusick of Watersmeet, Mich. The groom is the son of Greg and Deborah Auestad of Sayner. The couple will honeymoon in the spring. 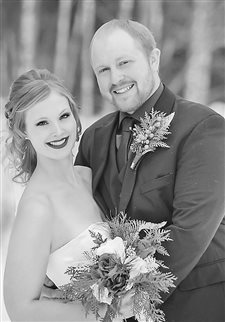 The bride is a 2003 graduate of Northland Pines High School in Eagle River. She is employed by Northland Pines School District. 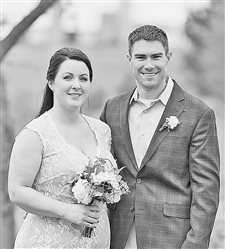 Hannah Becker and Justin Borski were united in marriage Friday, May 26, 2017, at Willow Springs Garden in Wausau. Judge Michael Moran and the Rev. Ray Slatton presided. 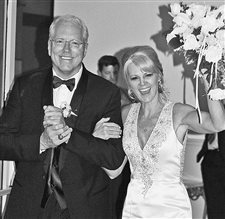 The bride is the daughter of Brian and Laurie Becker of Watersmeet, Mich., and the late Patricia Greeley. The groom is the son of John Borski of Green Bay, and Larry and Sharon Van Esten of Waupaca. His grandparents are Robert and the late Cora Netzel of Ogema, and Nancy Borski of Stevens Point. 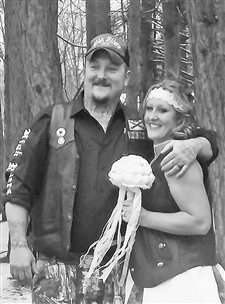 Joan Toivonen and Robert Zyhowski were united in marriage Friday, Dec. 30, 2016, at George Young Recreation Complex in Iron River, Mich. Jack Hudson presided. Susan Jackson and Jeff Visner were united in marriage Saturday, Dec. 31, 2016, at St. Therese Catholic Church in North Fort Myers, Fla. The Rev. Jerry Hagen of Phillips presided. The bride teaches fifth- grade math at Eagle River Elementary School. The groom is the owner of Design/Build by Visner. The couple resides in Eagle River.